If you are looking to build a more identifiable name for your business, it is essential that you take a serious look at what it means to build your brand’s visual and emotional persona. Doing this, however, requires that you set up what are called “brand guidelines--” those pieces of your brand that will ensure that, across every platform, your brand looks and feels the same (even when you have different representatives and departments, as well as potential outside agencies, working with them). Understanding what those brand guidelines are and how you build them is fundamental to creating a brand identity that not only builds familiarity, but also stands the test of time with your customers. To help, we’ve compiled the several things you need to know to build, compile and present the most successful elements of a good brand identity. 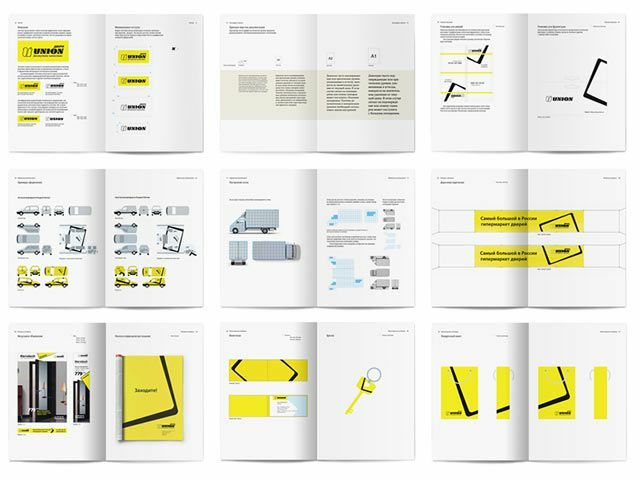 Brand guidelines (aka “brand standards,” “style guides” or “brand books,” if you prefer) are a set of rules that dictate how your brand works, both visually and ideologically. These guidelines usually include information like your brand’s history, vision, personality, and values—in addition to an extensive overview of what each piece of content across platforms should look like. Brand guidelines should be flexible enough for designers and content creators to be creative, but structured enough to keep your brand identity distinct and recognizable to your audience no matter who is designing or writing for you. 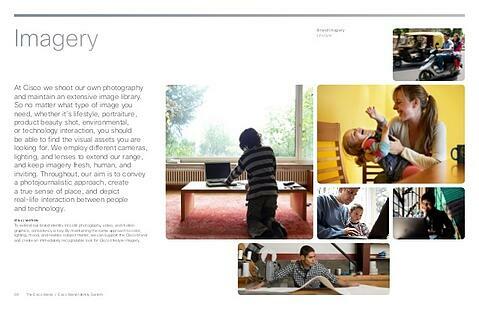 With brand guidelines, “consistency is key,” especially when your brand expands across multiple media platforms. With that in mind, lets go over some essentials and tips to build a successful set of brand guidelines for your business. Understanding your brand’s mission is much easier when you’ve written a mission statement about why exactly your business exists, as well as a vision statement describing with clarity the direction in which you want your brand to go. Whether big or small—whether you intended to “change the world” or “solve tis specific problem”—what matters most is that you are clear and true to your brand. Knowing who your customers are and why they need you and your product or service is critical to you paving the way toward effective brand guidelines. Market research, buyer personas and audience insights will help you do this—as well as learning what sorts of communication and visuals work best for your customers. Writing out adjectives that describe your brand—words that you feel capture the feel of your brand, from "sophisticated" to "quirky," "trendy" or "classic"—will help you to set the tone of both your design and your writing. (Doing the opposite—making a list of what your brand is not—can also be a helpful exercise). Determining the guiding principles for your brand is essential for future company decisions and actions. Having distinct, memorable values will make it easy for your team to stay on brand in the future. If you are newer to the brand-building game, collecting images and stylistic elements that you feel are “on brand” for where you want to take your style guide is an important part of creating successful brand guidelines. Not only can it help get multiple people involved with the process of building your brand, it can give you concrete examples to help define their look and feel. If you already have an established brand and are just looking to compile its consistent visual aspects—or even if you have a general sense of your brand but are going through a rebranding process—the above exercise can still help you to find out what elements of your brand is most powerful, and what you could potentially alter for your brand moving forward. Either way, making specific notes about what you like and don’t like (even as something as simple as the font you use for blogs or body text) is a useful tactic that will help you build a more effective brand guide. Once you’ve established the feel and visuals you’re looking for, the next step is working with a designer to create a uniform style guide that people will use when working with your brand from then on. Choosing a designer who makes you feel comfortable is key—and so is one who is both open to giving new ideas while still holding fast to your company identity. When working with your designer, there are six essential elements you will need to work through, including: your brand story, your logo, your color palette, your typography and fonts, your imagery, and your brand voice. How you introduce and describe your brand to the world plays a key part in giving people insight to who you are—which is done by creating a narrative around your mission and vision for your company, as well as your audience, personality and values (though you may choose to opt out of stating those explicitly. While you may already have a working logo, the important part of establishing brand guidelines for your logo is less about aesthetics and more about ongoing functionality over all your platforms. All of these should all be included in your brand guidelines for your logo, as well as any other specifications that may apply specifically to the way you use your logo across platforms (both print and digital). When it comes to color, choosing a particular “brand palette” will help with creating a more consistent look and feel for your brand. Most brands choose four or fewer colors to represent their brand, with only a few hues of each color that can be used to maintain the integrity and consistency of their visual identity. 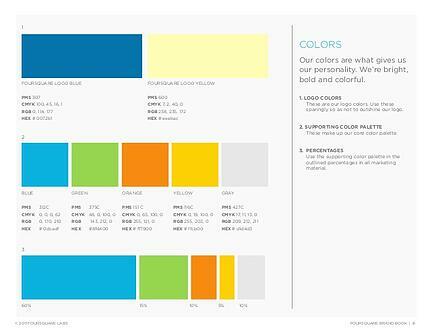 When creating your style guide, be sure to include swatches of your chosen colors and hues, as well as the color matches (PANTONE names and numbers), print colors (CYMK) and digital colors (RBG and HEX codes) you need. While it might not sound like it belongs at the forefront of your design strategy, establishing a typography and font scheme for your brand is critical to establishing brand guidelines for your company. While your brand needs will dictate how many fonts (or font families) you will need, talking through which fonts work best for your ongoing designs and content with a designer is an important part piece of your style guide. Giving examples of the sorts of images you want used with your brand, as well as images that have performed well for your brand in the past, will help you to communicate the personality and feel of your brand for anyone using your style guide. 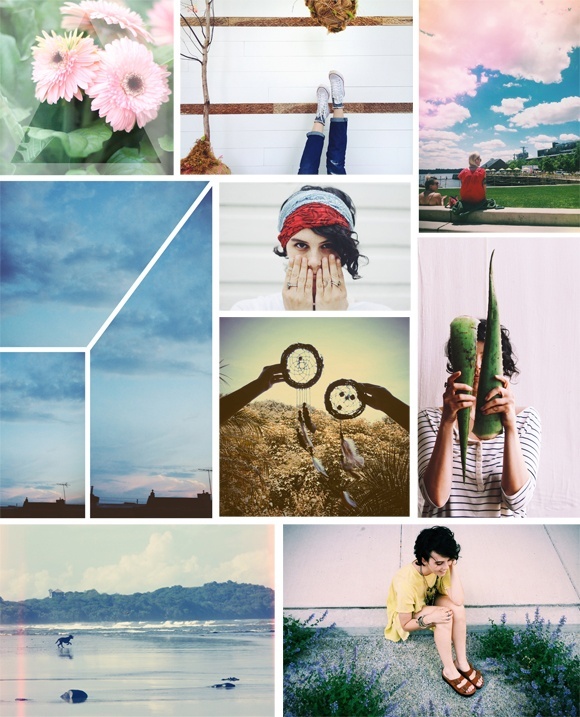 Additionally, including details on where, when and how to use photography or images for your brand, as well as guidance on spacing, filters and photo treatments, will help those building content for your company stay on brand moving forward. 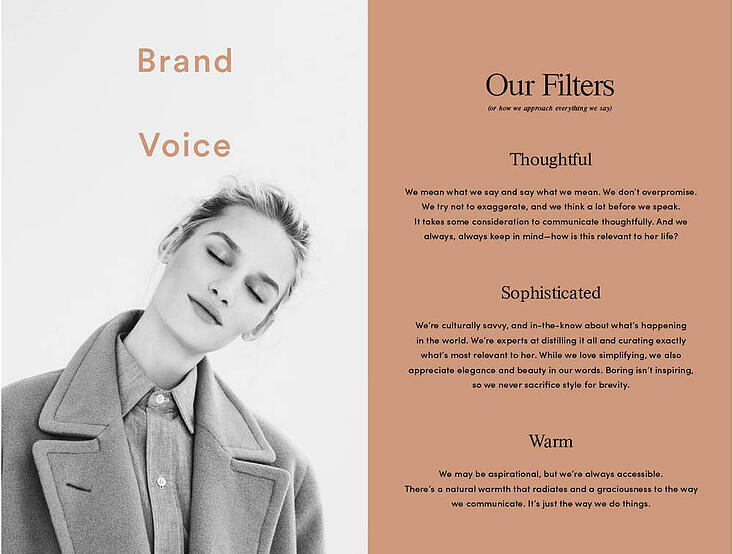 While it isn’t something as obvious as the visual elements of your brand, establishing your brand voice is a critical part of what it means to establish a cohesive set of brand guidelines. Brand voice plays a huge role in how your audience and potential customers feel about your brand—which is why you want to make sure all of your content follows a specific set of rules or voice guidelines, even in content that comes from individuals or personalities. Writing out some specific adjectives that describe your brand voice (i.e “quirky” or “educational,”), as well as including snippets of copy that sound and feel the way you want your ongoing brand voice to (or don’t want to!) 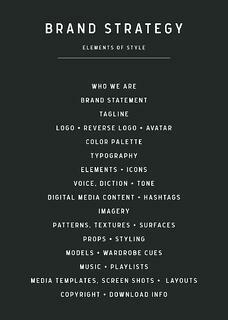 is imperative to include in your guidelines for your brand identity. While some newer or less in-depth brands may only require those six essential elements, other businesses may need to define other brand guidelines that apply specifically to their needs. For example, primarily digital brands may need to break down their guidelines to incorporate image layouts for their websites, and social media marketers may need to establish image and copy guidelines for how they want things to post. Making a list of any additional elements your specific brand might need to include in your brand guidelines is a best practice that you may want to integrate into your style guide—or even add to one you have already. Your company’s brand guidelines should suit the needs of your business, so build your style guide around what fits your specific needs for media! Once you’ve established what your guidelines are, compiling them into a single cohesive document that can be easily shared and/or printed for ongoing use is key. Organize your document in a way that makes the most sense for your business—including a table of contents for easy navigation and ease of use. Work with a designer to sort out the specs and design of your style guide for ongoing use—this piece by Code My Views delineates the steps to take to visualize your brand guidelines (as well as giving great examples of successful brand books), in addition to all that your specific designer will be able to do. Step Six: The Finished Product! Once you’ve developed a working set of brand guidelines and created a place for your style guidelines to be shared, be sure that everyone who might need to use the document (or be introduced to how your brand intends to represent itself) has access to it—this will help you set a strong, cohesive brand identity moving forward. Similarly, be sure that your brand guideline document is treated like the living document it is—your brand guidelines should be revisited periodically to make sure they stay fresh and up to date, as well as open to refreshing when the time is right. You will learn what works and what doesn’t work for your brand over time, so keeping your style guidelines up to date with your company changes will make sure everyone in your business stays on the same page about what you want them to use and design around. While your company is much more than design, having a cohesive brand identity is the first step to helping your audience and potential customers identify with your business. A strong brand tells the world why they should choose you over the competition—which is why you want to make sure you and everyone in your company knows exactly who you are, what you stand for, and everything it means to represent that.